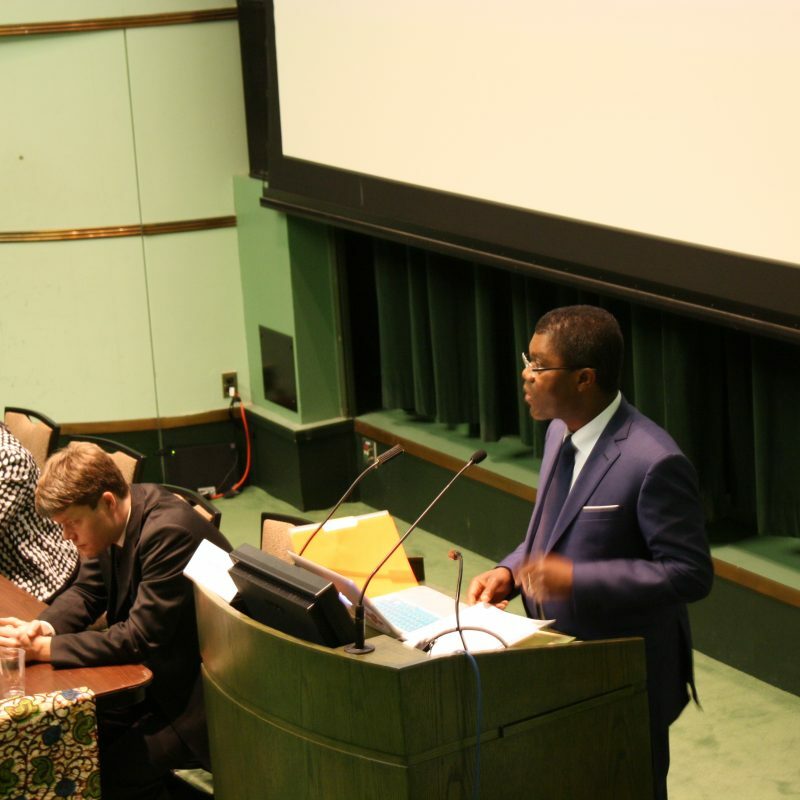 Thierry Zomahoun made an impassioned plea to shake up the status quo when it comes to educating youth in math and science.He did it as a panelist during a discussion about Africa’s centres of excellence, such as AIMS, at the University of Michigan in the United States. Zomahoun also spoke about the trends that were driving the need for STEM centres of excellence. Zomahoun also spoke about the only six per cent of post-secondary aged Africans enrolled in apprenticeships, colleges or universities compared to a global average of 26 per cent and a North American average of more than 70 per cent. With current robust economic growth in Africa and several high profile infrastructure projects, such as the Square Kilometre Array and the Grand Inga Dam project, he argued that the demand for young scientists, and the centres of excellence to train them, was clear. Another panelist Andreas Brom, economist from the World Bank, cautioned the audience to make the training and research relevant to problems their communities were facing. His experience working in Mexico showed a $150 million space science program that didn’t link back to the economic and development needs in the country. “More important than the science you do, is what you do,” he said. 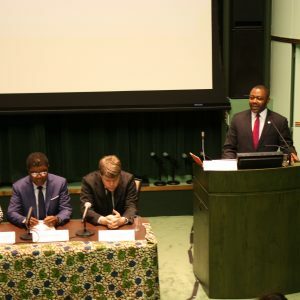 “For it to succeed, the science must be linked to improved outcomes for you communities in Africa.” Zomahoun’s response in his speech highlighted AIMS approach to problem solving and also explained the rationale for the Next Einstein Forum - Connecting Science to Humanity. It will provide a global conference platform for scientists to share their work and encourage young African scientists by opening avenues for partnerships both at the individual and institutional levels with others from around the globe. It will focus on applied science to solving development and global challenges. had with Makhtar Diop, World Bank Vice President for Africa, where these and other matters were discussed. Other panelists participating included Beatrice Khamati Njenga of the African Union and Pan African University Institutes and Wole Soboyejo of the Nelson Mandela Institutes. 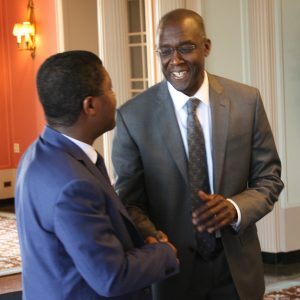 The University of Michigan hosts the STEM-Africa Initiative Biennial Conferences draw together experts from industry, academia and NGOs from across America and the world. This conference examined STEM collaborations, capacity building and African diaspora engagement in the United States.